The latest Camera from Toshiba is a feature rich 1,600 TVL Ultra HD 4K remote head camera system with 4K, 3G-SDI and HD-SDI Outputs. 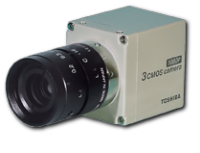 The Toshiba IK-4KH 3-CMOS minitaure camera head is the WORLD'S SMALLEST 4K UltraHD camera. 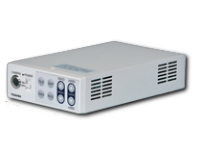 It utilizes Toshiba's 3-chip prism colour technology making it well suited for colour critical applications and its 1,600 TVL resolution provides amazingly sharp detail and colour performance thus enhancing video applications from professional broadcast, scientific imaging, and life sciences through to defence. The IK-4KH remote head miniature camera connects to the new Toshiba IK-4KE compact Camera Control Unit via a new flexible camera - CCU cables. "You get out what you put in!"